View basket “Anti Acne Deeply Purifying Gel” has been added to your basket. 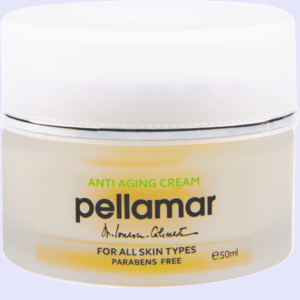 Pellamar purifying gel works to regulate the sebaceous gland activity by cleansing the skin, removing dirt and impurities from the pores without drying the skin. This gel purifies the skin without causing irritation or drying it. The gel’s bioactive properties release the pores, protecting against the development of blackheads. Specially selected combination of active components removes the fat excess from the skin and controls the sebaceous glands activity, reducing sebum production leading to oily skin. The gel eliminates pimples and reduces acne development. It soothes irritations, leaving the skin clean, smooth and firm. Regular use of the gel improves the skin condition and appearance, the pores become less visible, the skin being purified, with healthy appearance. Apply the gel on the damp skin and using circular motions, rub gently around the face. Leave to work for 2-3 minutes, then wash off with warm water. Use twice a day, in the morning and at night. AQUA, SODIUM TRIDECETH SULFATE, SODIUM LAUROAMPHOACETATE, COCAMIDE MEA, ACRYLATES PLAMETH – 25, ACRYLATES CAPOLIMER, SALYCILIC ACID, LAVANDULA AUGUSTIFOLIA EXTRACT, MINERAL SALTS AND AMINO ACIDS FROM PELLOID MUD EXTRACT (PELL AMAR), EDTA, ETHYLHEXYLGLYCERINE / PHENOXYETHANOL. If it is used after the pores are open, it pulls out enough black dots and leaves the skin soft. I strongly recommend it, cleans the skin thoroughly. It is good, I use it in the evening, the small ones have disappeared, and the bigger ones have faded, so they will also disappear. It’s really good, I was pleasantly surprised. I especially recommend it to teenagers who have problems with their pimples overnight.